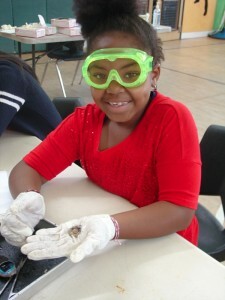 Science from Scientists’ core program is the In-School Module-Based (ISMB) Science, Technology, Engineering and Math (STEM) enrichment program. In this program, SfS partners with elementary and middle schools that serve students in our target population: grades 3-8. SfS sends the same two real, charismatic scientists into each of these partner schools to see the same group of students every other week throughout the entire school year. During each of these visits, SfS instructors coordinate with classroom teachers to select one of our 90+ engaging hands-on lessons in STEM (topics include chemistry, physics, biology, computer technology, engineering design, etc.) to present that day. All lessons are written in the 5E Instructional Model for inquiry-based learning and are informed by the Next Generation Science Standards (NGSS), the national K-12 Framework for Science Education, and the Massachusetts Science and Technology/Engineering (STE) Framework. Science from Scientists instructors are available to assist teachers and instruct students in grades 3-12 through the science fair process from start to finish. Students learn about the scientific method, experimental design, data analysis, and creating an attractive, informative and succinct display. 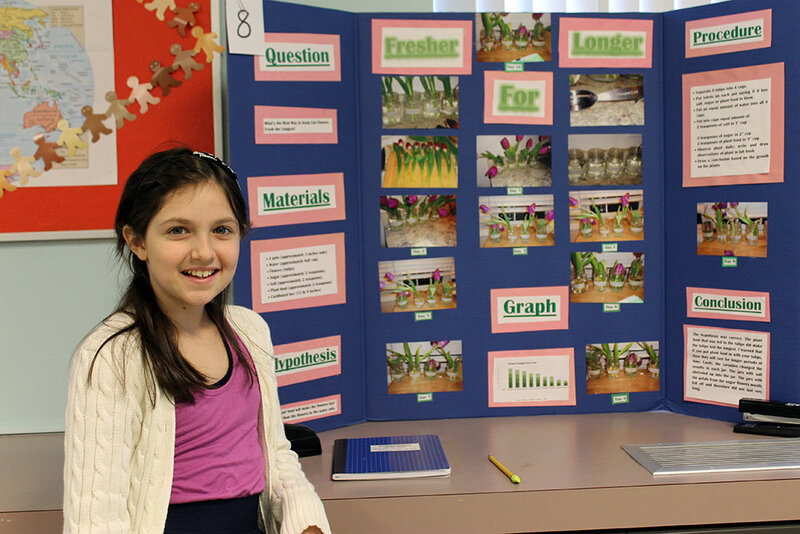 We are able to offer schools aid throughout the entire science fair process by: administering a science fair, offering additional guidance as tutors, or serving as judges.